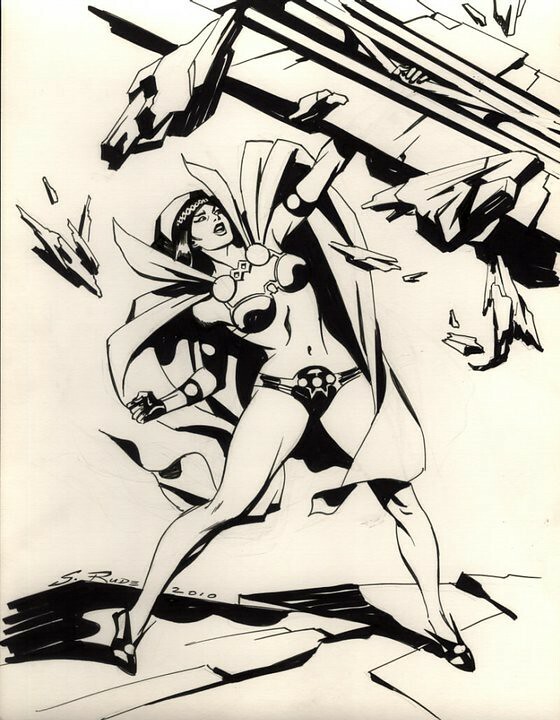 Here is a great illustration of Big Barda, by Steve Rude, who can channel Jack Kirby's spirit like no other artist. Steve Rude is selling a lot of artwork to help keep his house afloat. You can support the Dude by checking his Facebook page and eBay site to see what he is selling. Also check out SteveRudeArt.com. Nuff Said!